The HTC One V is a more affordable version of the popular HTC One. 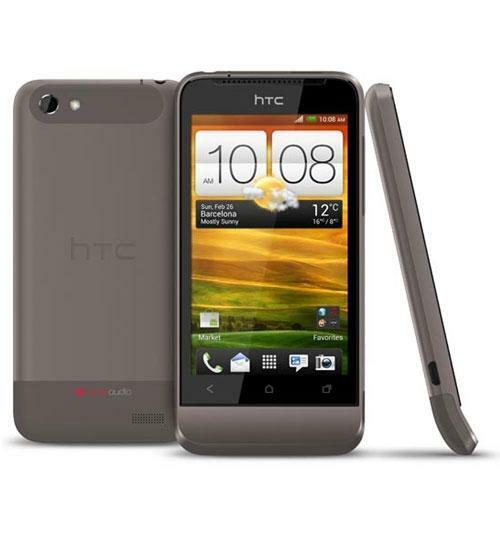 The HTC One V features a 5-megapixel rear-facing ImageChip camera, Beats Audio, Android 4.0, HD video recording, a 3.7-inch display, and a 1 GHz Qualcomm Snapdragon S2 processor. Dogfight battle time between two Android smartphones! Aaron compares US Cellular's HTC One V with the T-Mobile Huawei myTouch. It's a Friday dogfight between two mid-range Android phones. Aaron compares the HTC One V and the T-Mobile Huawei myTouch. Aaron reviews US Cellular's HTC One V.
Aaron takes an in-depth look at US Cellular's HTC One V.
The final member of the HTC One trilogy has made it to PhoneDog. Aaron unboxes US Cellular's HTC One V, a device that closely resembles the design of the HTC Legend and Hero. The HTC One series is finally complete! Aaron takes a first look at the HTC One V, the mid-range device in the One series and the one that resembles the HTC Legend.